Back in 1976, the Jensen Interceptor III Coupe commanded Rolls-Royce grade price points and extremely low production numbers, while packing big Detroit power. We recently stumbled upon one while perusing eBay and were stunned by both the pristine condition it was in and the amount of detail its seller went into when it came to time to type up the listing. Handcrafted in true British fashion, and then given a potent American powerplant, Interceptors were both a symbol of status and virility, and the seller is quick to mention that in white this version likely sports a claim to single-digit rarity. Note the peculiar GT-style roof, which was inspired by the need to create a more roomy backseat while retaining sleek body lines. Apparently Jensen’s owner at the time, Kjell Qvale, liked the design so much that he kept one in his collection for decades, and while stylistically it may not be for everybody, the amount of headroom it creates is impressive. 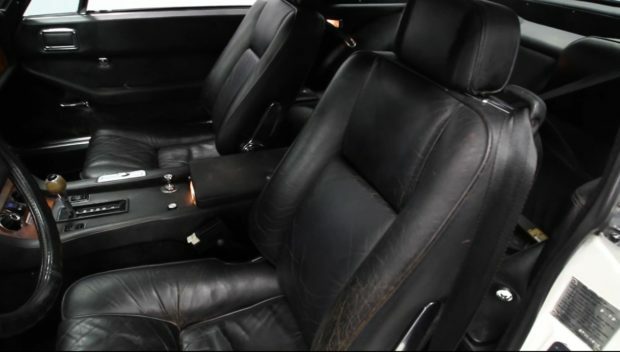 Interceptors were not just lauded for their spacious rear bench but for the quality of their leather, wool, and wood, all of which was applied in abundant amounts to each vehicle’s cabin. With seats that are rip-free, plush carpet, working power windows, power locks, AM/FM/cassette stereo, and a factory air conditioning system that’s been upgraded to modern R134a, this Jensen offers obscure car buyers the ability to instantly cruise in comfort. Dive beneath the bonnet and you will find that behind those branded Jensen valve covers is Mopar power and then some. 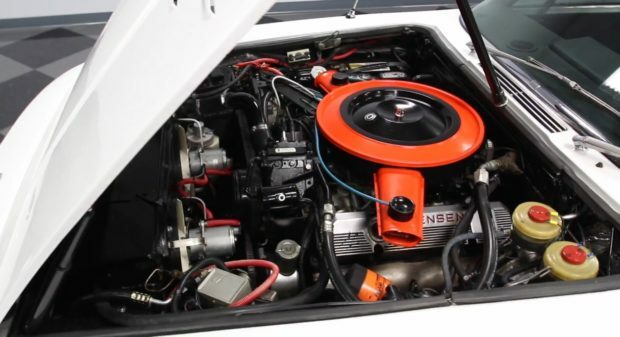 Being that this model is a ’76, a 440 V8 was crammed into the engine bay, which not only produces respectable amounts of power, but makes modern day historical vehicle maintenance a lot less expensive. 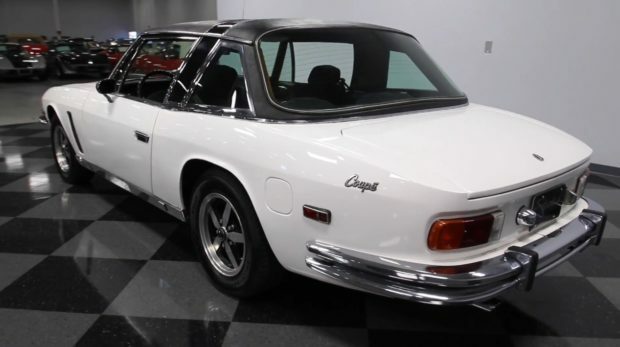 As for the gearbox, the owner says that the Torqueflite A727 three-speed transmission was recently replaced so that buyers can remain worry-free, a move that makes this machine even more desirable. Other fun touches include power steering, four-wheel disc brakes, and a gargantuan file containing its entire service history, along with manuals, and historical title documentation.